Nyárádgálfalva – Găleşti lies in the medial part of the a Nyárádmente – Niraj Valley, on the two banks of the river at a distance of about 24 kilometres of Marosvásárhely – Târgu-Mureş, at a height of 345 metres above the sea level. The first written source mentioning the settlement dates back to 1567. From a document drafted in the 1600s, during the very first conscription in the village, the settlement’s free Szekler status becomes evident as well as the fact, that the men of property were members of the Ózdi and Szentiványi families. 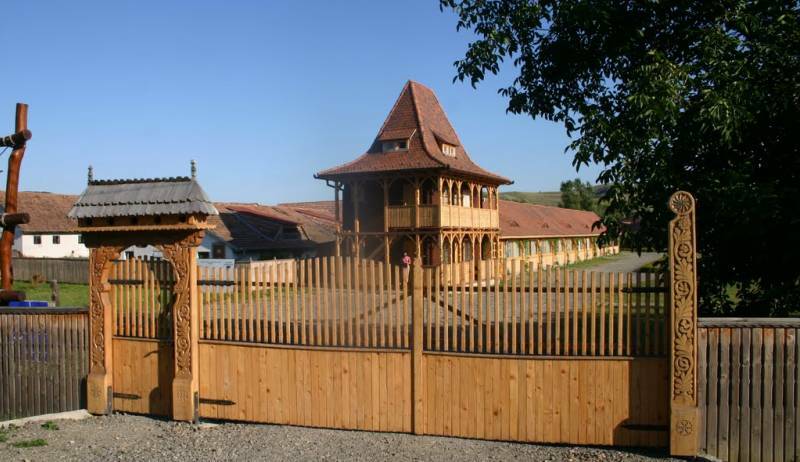 The history of the village and of the Szentiványi family is tightly interlaced. An ancestor of the family named György was vice-voivode of Transylvania. It was the son of György, Sigismund, who built in 1501 at Nyárádgálfalva the Szentiványi mansion, building that in the present hosts the mayor’s office. The commune is intersected by the Nyárád – Niraj River and it is surrounded by hills and forests with a relatively rich fauna (deer, wild boar, fox, hare, pheasant). According to local lore, a monastery stood once on a nearby hill, the ruins and the remains of a bell emerged to surface seem to confirm this theory.